For a clean, simple dining chair, there may be no better choice than the Metropolitan Dining Chair from Zuo Modern. This sleek, elegant chair features a textile seat and back that provide amazing comfort. Also, the chair is stackable and features a distinct armless style that allows the piece to make a bold statement in any setting. Pick up a deluxe chair that is sophisticated and practical � the Metropolitan Dining Chair. Clean, simple design is a minimalist's dream come true. Textile seat and back makes it easy to dine comfortably at all times. Stackable design enables you to store the chair quickly and effortlessly. 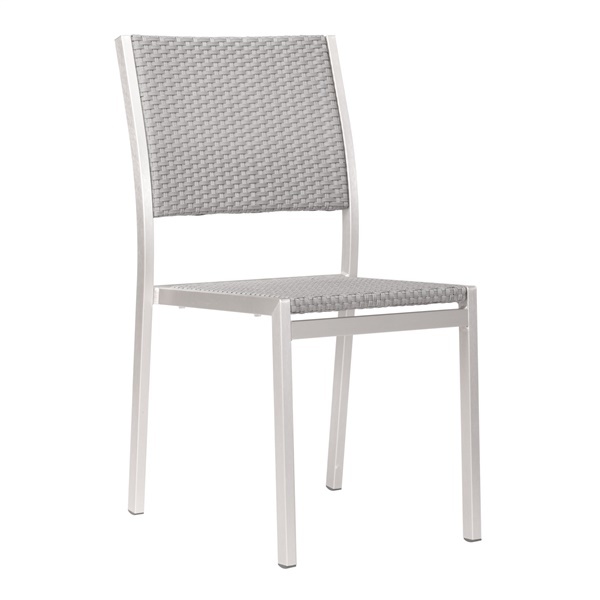 Includes a brushed aluminum finish that further enhances the chair's overall appearance. Armless style ensures the chair makes a distinct impression in any modern or retro dining room.